During his stay in Buenos Aires from 2012 to 2017, he began working on a series called ”Person Separation Device“: detailed figurative etchings, aquatints and drawings, the majority of them large monochrome prints with subtle color accents. These works depict fragile persons that get united through the “Person Unification Device” (an object that resembles a mattress), then travel together through a world of desolate swimming pools and tiled bathrooms, and at the end, enter the “Separation Device” (technically a turnstile). 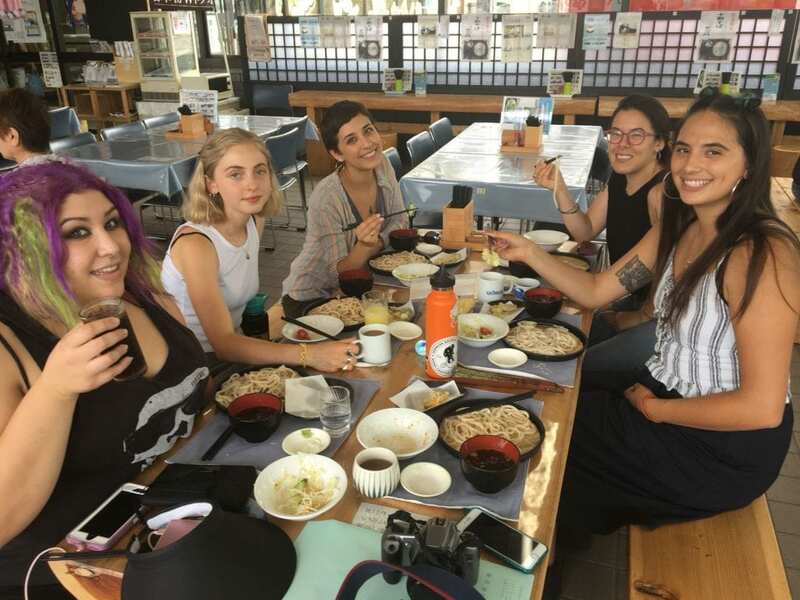 In Summer 2018 Professor Jimin Lee took a group of UCSC Art students to Japan to learn Japanese woodblock printmaking “Moku Hanga” known as the “Ukiyo-e technique” widely studied by artists today. 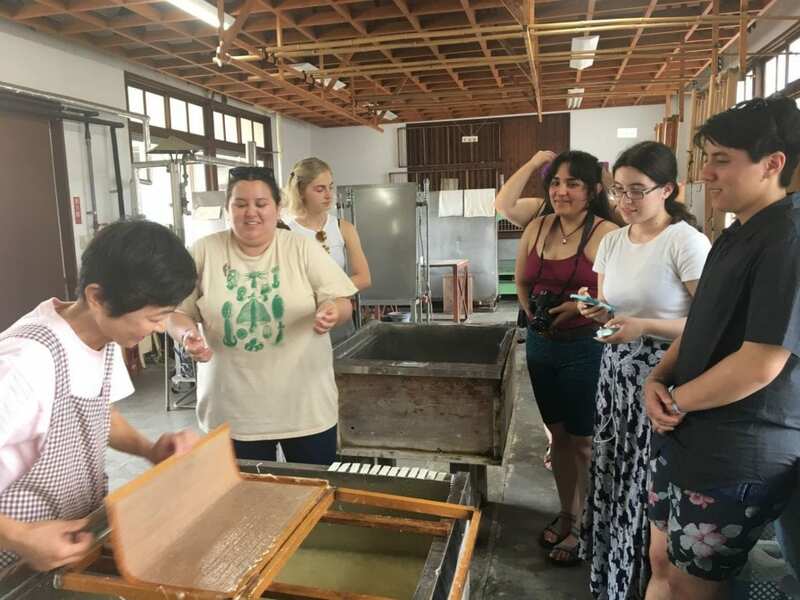 While in the Western tradition, oil-based ink is applied with a roller and printed onto the papers surface, often with the help of a press, in the Japanese tradition water-based ink is applied with a brush and, while being printed by hand, is pressed deeply into the absorbent Japanese paper. This method deeply influenced some late 19th-century Post-Impressionist artists, such as Van Gogh, Toulouse Lautrec, Edgar Degas and Edouard Manet. 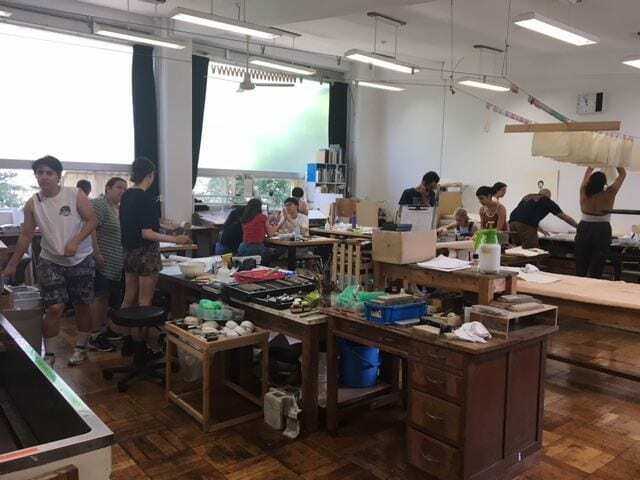 At Tokyo National University of the Arts, students studied the treasured historical skills and tools of Moku Hanga with greater understanding and appreciation. 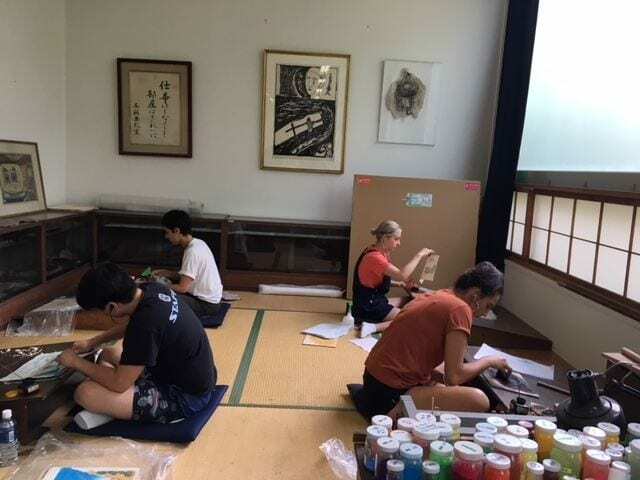 Classes included field trips to local museums and galleries, hands-on workshops at a traditional paper mill (washi) in Tokyo, and interactions with local visiting artists, master printmakers and other Japanese students. 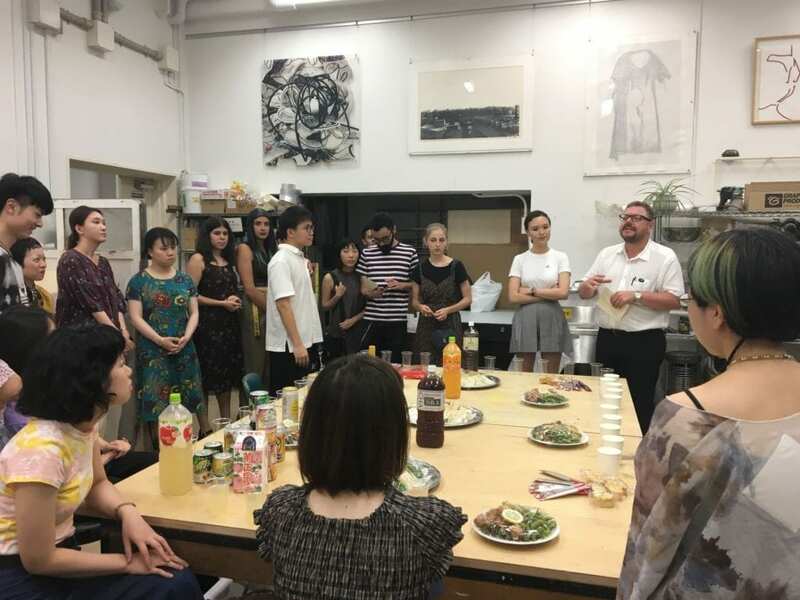 Through various class activities, excursions, and cultural visits students were exposed to diverse and multi-regional art practices that broadened their perspectives and increased their understanding not only in the field of print media but in the larger contemporary visual culture. 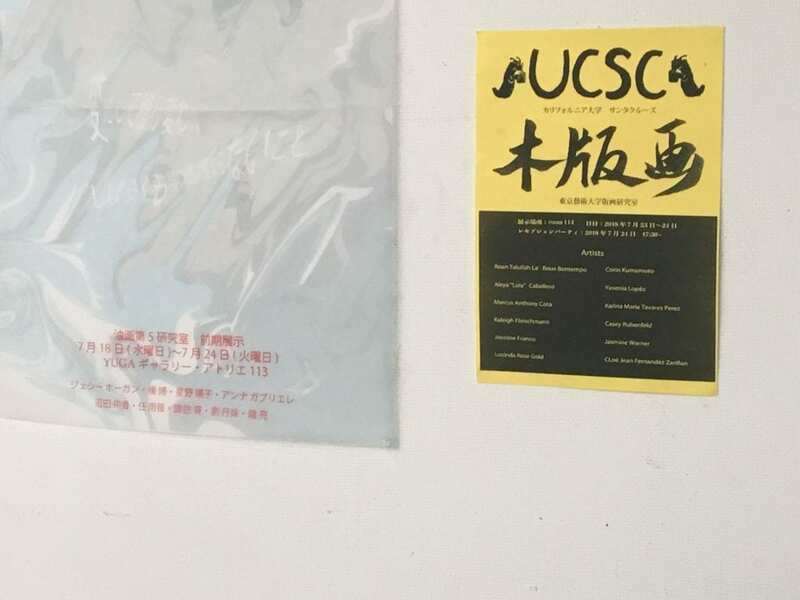 These classes help stimulate and inspire our UCSC undergraduate art major students to prepare their artistic careers and expand their possibilities for study opportunities internationally. 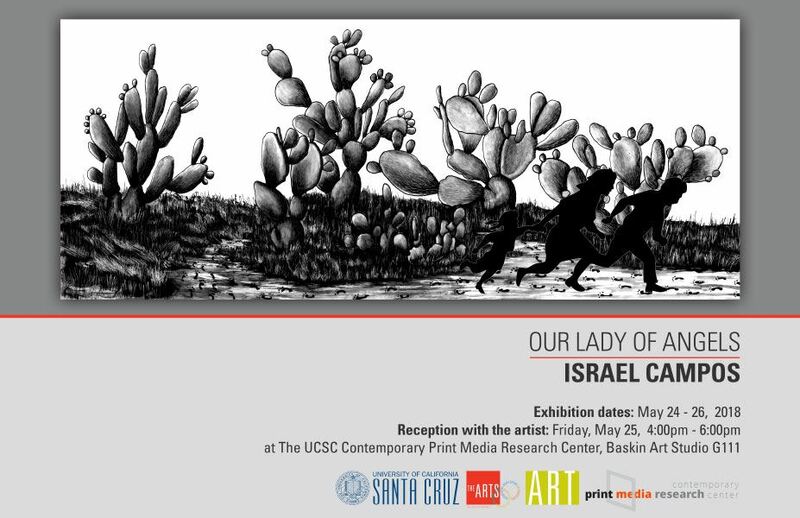 The Art Department and the Contemporary Print Media Research Center proudly present a solo exhibition of the work of Israel Campos entitled Our Lady of Angels. 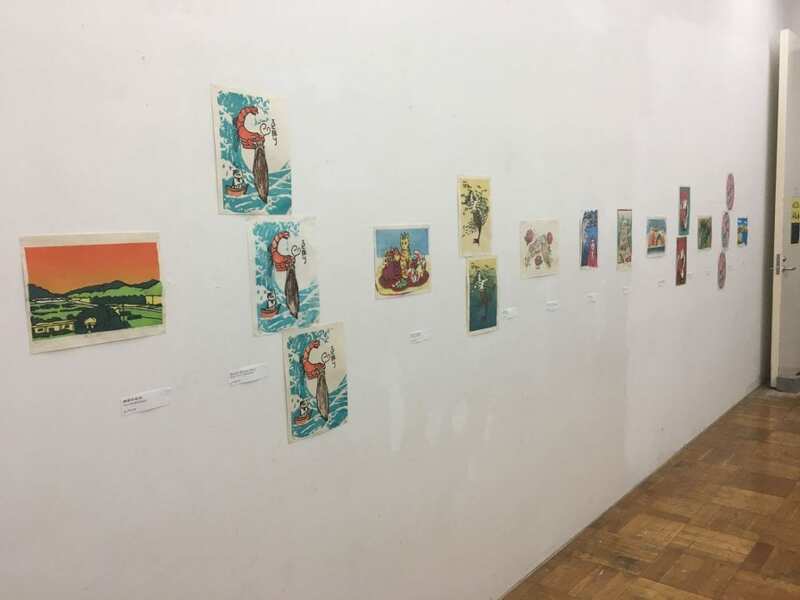 Our visiting artist and a UCSC alumnus, Israel Campos will show recent works, including new prints exploring the contemporary cultural landscape of Santa Cruz and its transformation since he was a student here. Cities across the country are experiencing a deep changes driven by an affluent class. Israel has investigated whether Santa Cruz is experiencing some of the same drastic changes currently taking place in Los Angeles. 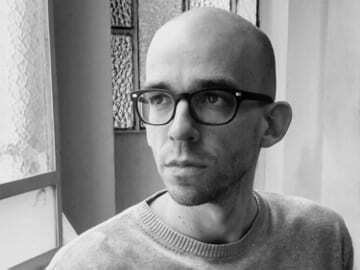 Campos is a California-born artist currently living and working in Los Angeles. His work primarily draws on his experiences living in Los Angeles as well as Mexican traditions and contemporary social issues. 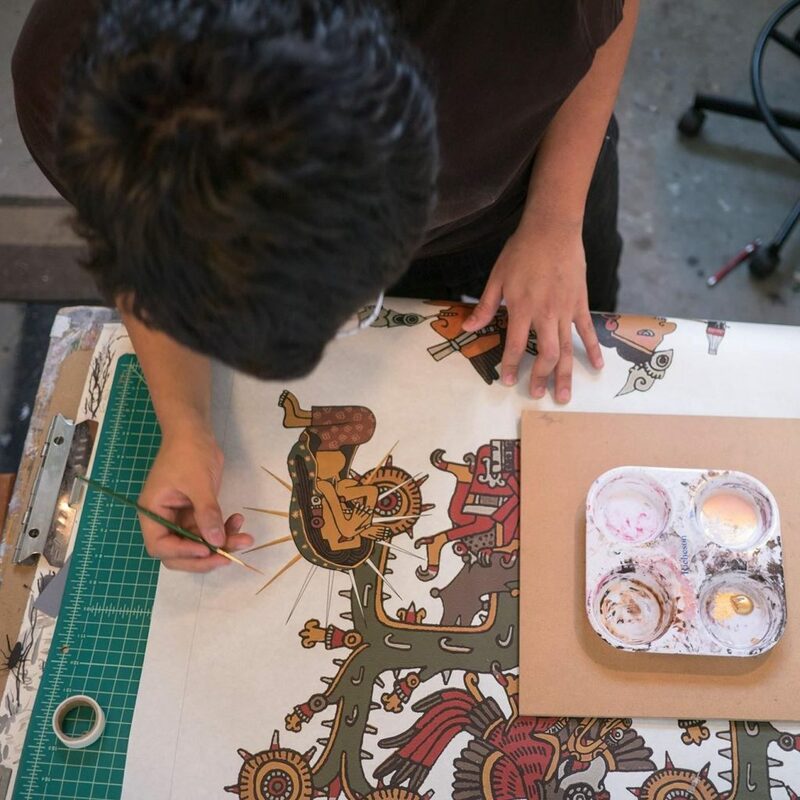 He is heavily influenced by his upbringing in a community of first-generation Mexican immigrants and the relationship of his community with an ever-changing urban landscape. The Los Angeles he draws upon is heavily industrial and predominantly working class, where the sunshine and palm trees of the city provide a backdrop for sewing machines and 18- wheelers. Israel synthesizes and explores American and Mexican Cultures in his work as a reflection of the same cultural fusion happening throughout the city. 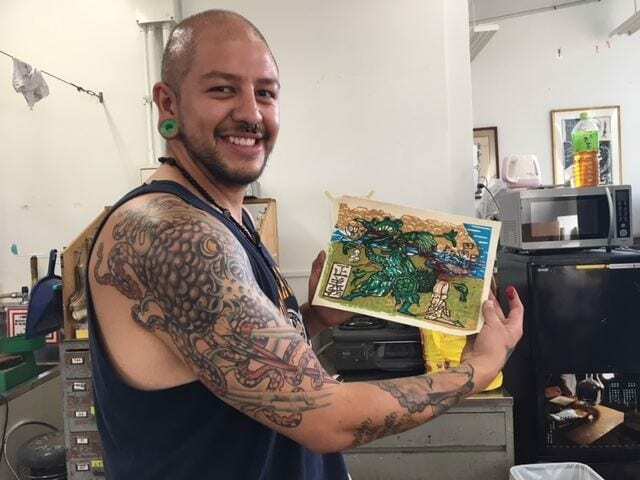 Israel graduated from the University of California Santa Cruz in 2011, developing his practice as a print media artist. He later acquired n MFA at the University of Wisconsin-Madison. His work is in the permanent collections of the Kohler Art Library, the Zuckerman Museum of Art, and the Oregon College of Art and Craft. He has exhibited in venues across the country, including the ArtHelix Gallery in New York City, the Ronna snd Eric Hoffman Gallery of Contemporary Art in Portland, Oregon, and the Juanita Lowe Art Gallery in Imperial, California. 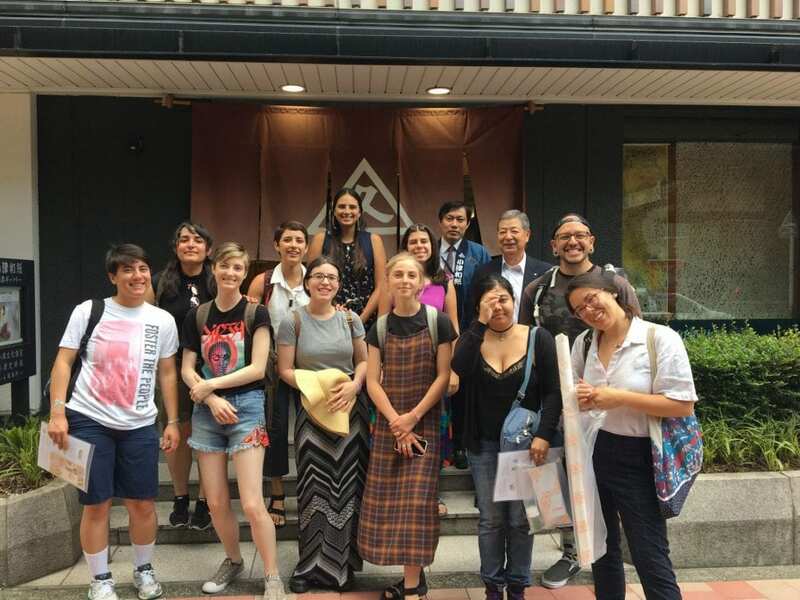 Saturday, October 22, a group of members of the California Society of Printmakers (CSP) visited our print studios and the Contemporary Print Media and Research Center.